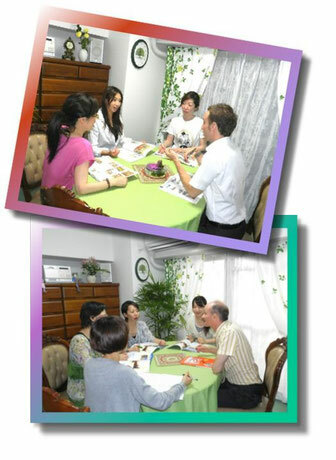 Lessons are held in small groups (minimum 3 students, maximum 5). Group language courses at EuroLingual are a nice way to socialize and interact while learning a new language and culture. During conversation sessions teachers put current topics forward with CDs, written materials, group activities, vocabulary building, dialogues, commentaries, thus encouraging learners to take part in discussions and make their own contributions. Language workshop lessons are a combination of applied grammar and conversation where role plays and class games are used to simulate daily situations, in which relevant vocabulary is constantly presented and practiced. Because the time each student can speak is limited, a certain amount of time is required for improving the speaking skills. In addition, group lessons are suitable for the following people. In group lessons, there is a side where each student cooperatively creates classes, and not only lecturers but also active cooperation of everyone enables better management. Lesson fee is profitable, but in order to learn our method effectively, we need your efforts to participate by each one person according to the learning plan presented by the instructor. Private Lessons · Semi-Private Lessons · Group Lessons: It is important to consider the advantages and disadvantages of each, and choose the learning style that suits you. time is easy to manage!